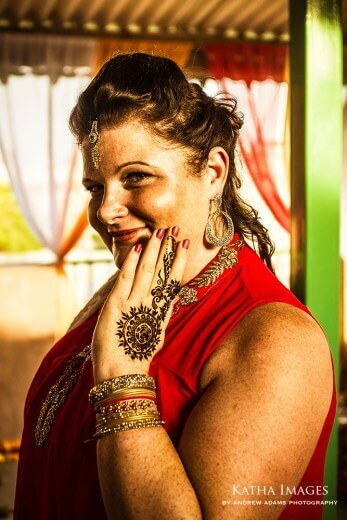 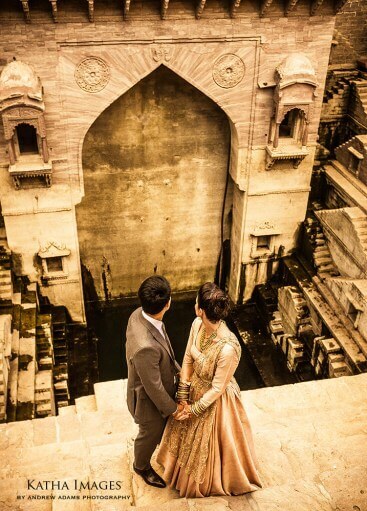 We all love Destination Weddings but perhaps what’s lovelier is Intimate Destination Weddings. 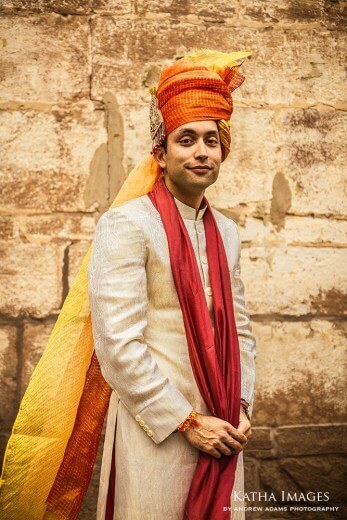 Majorly because the wedding is a time for utter madness and jubilation and happy tears and you would only be with your special people not get worried about getting approval from dear aunt Agatha. 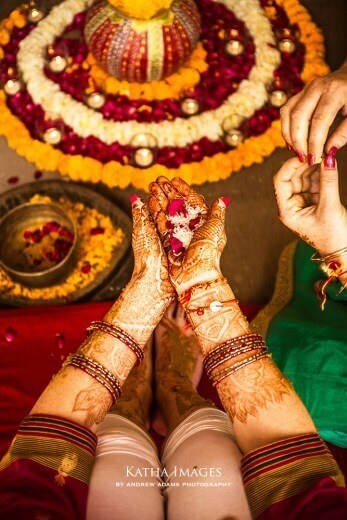 That being said we completely understand an intimate Indian destination wedding would consist of somewhere around 100 guests. 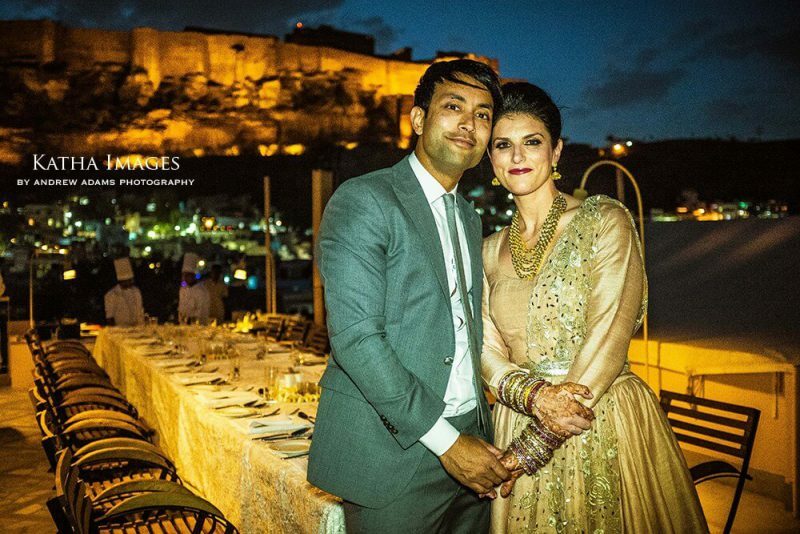 But then we chanced across this gorgeous destination wedding in Jodhpur that defies all the rules of Indian wedding guest list.! 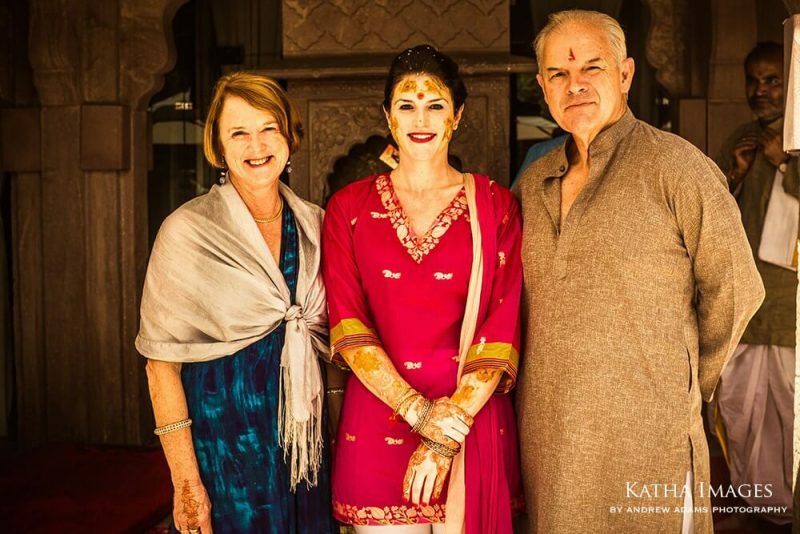 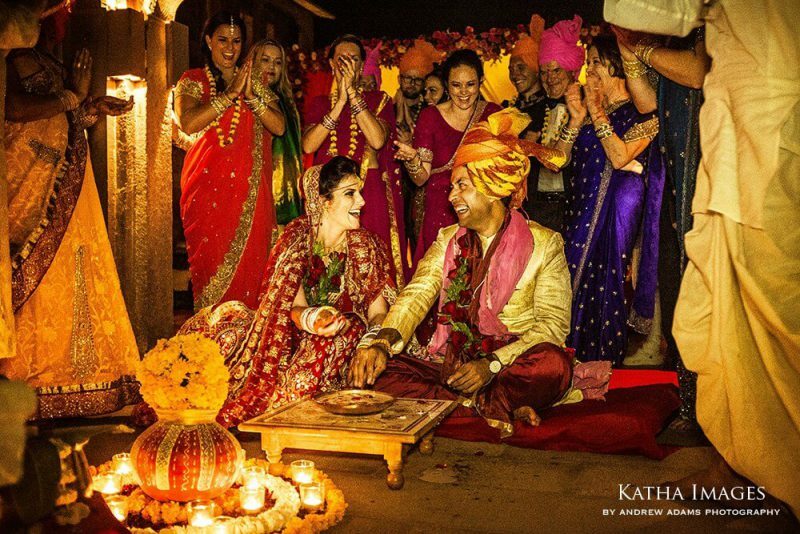 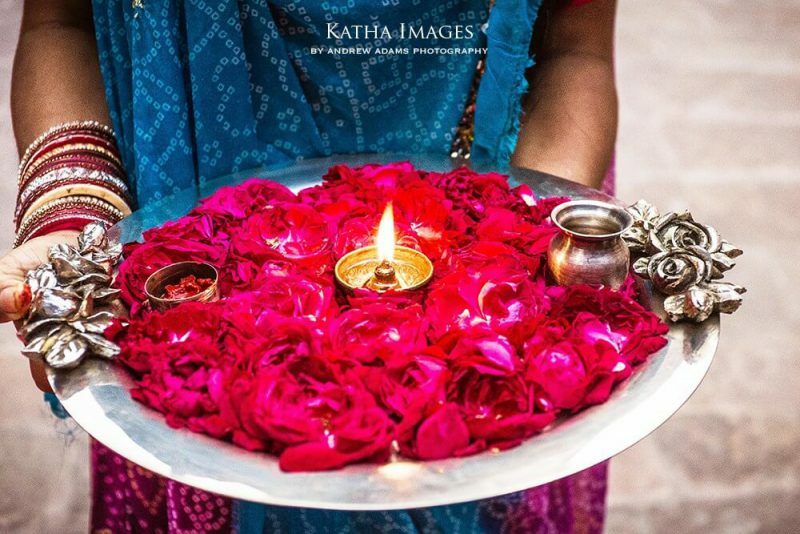 Stephanie and Shirish’s chose to have their wedding in the Sun City Jodhpur which are beautifully captured by Andrew Adams of Katha Images. 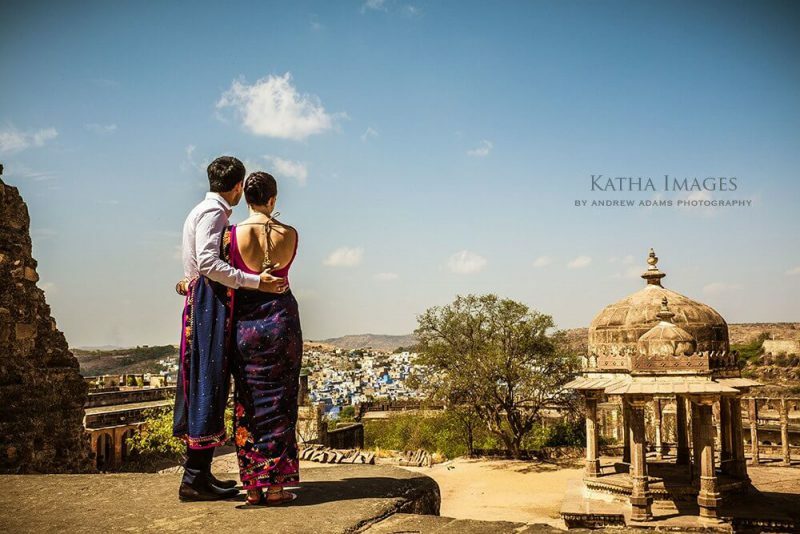 Those of you who are still contemplating on which city to decide upon for your royal wedding in Rajasthan, we definitely feel Jodhpur would be wonderful for those who are looking for a rather exclusive experience so to say. 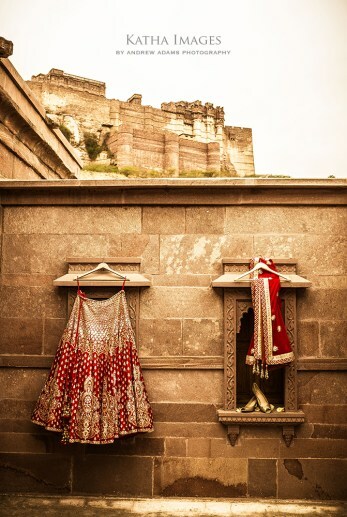 You might also want to read our story on our pick of hotels for your destination wedding in Jodhpur here. 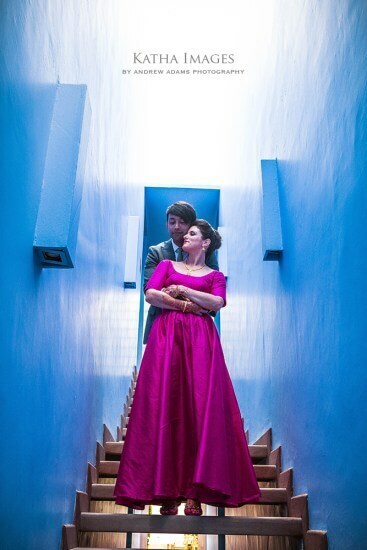 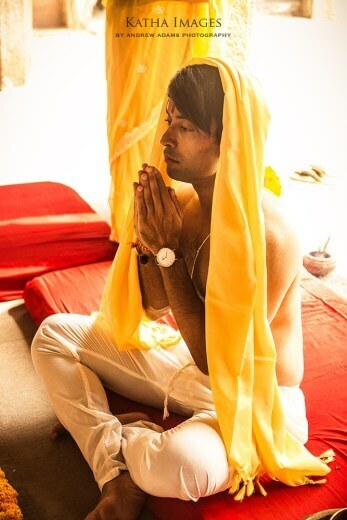 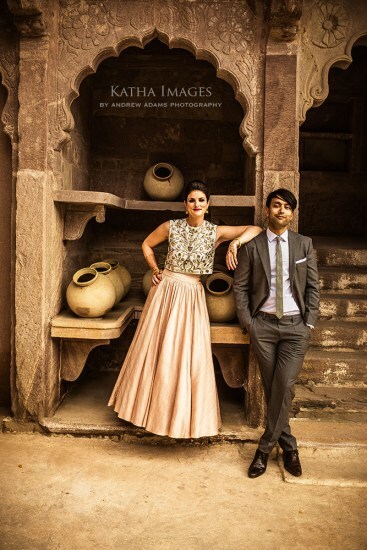 RAAS Jodhpur is one of the coolest boutique hotels in Jodhpur perfect for an intimate wedding. 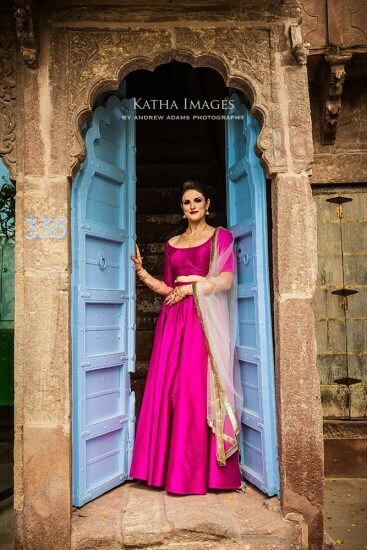 It’s contemporary and chic whilst harmoniously bearing the flavors and character of the time gone by. 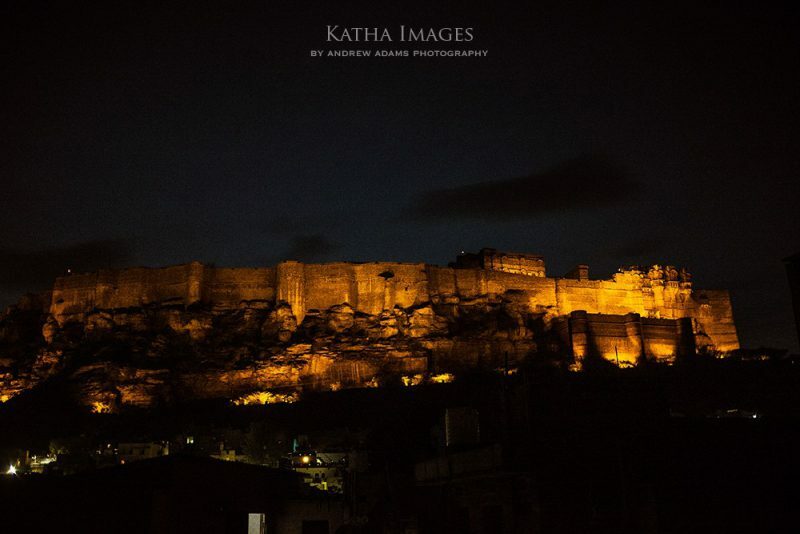 It offers the most spectacular views of the pride and icon of the city ‘Meherangarh fort‘. 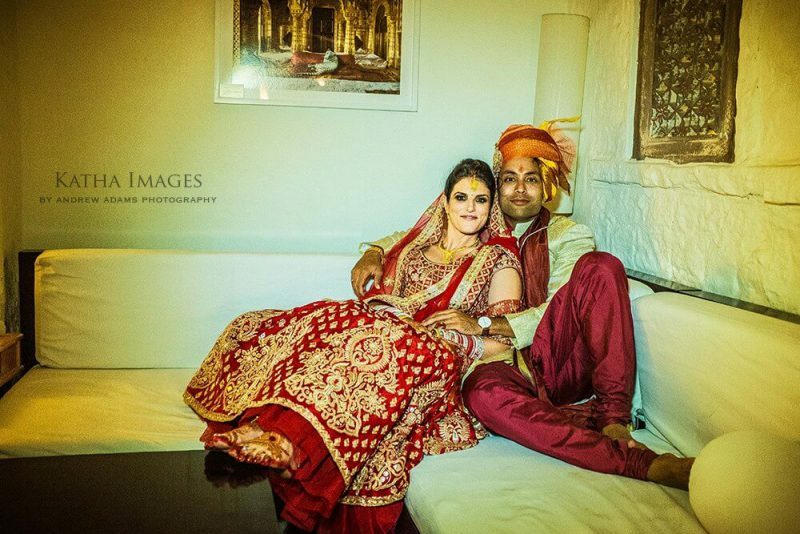 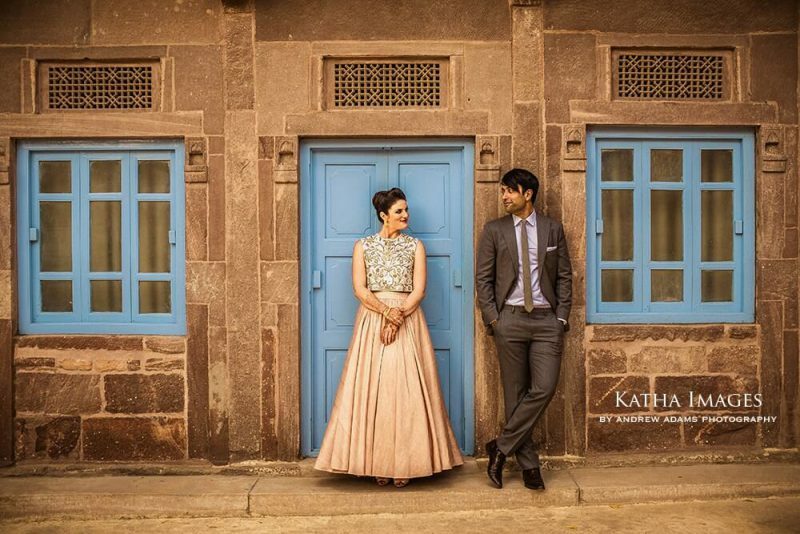 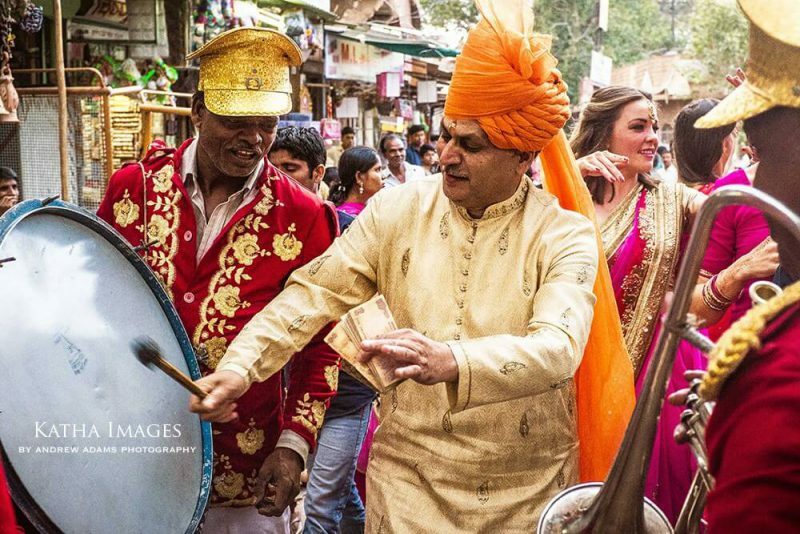 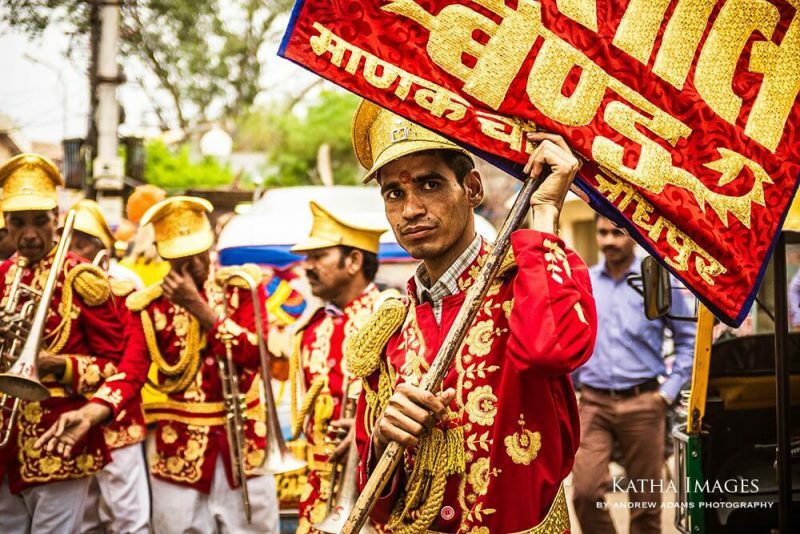 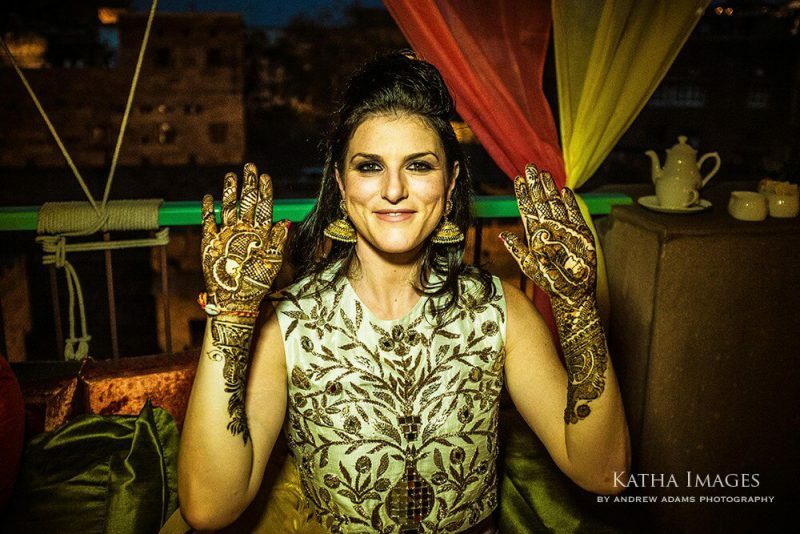 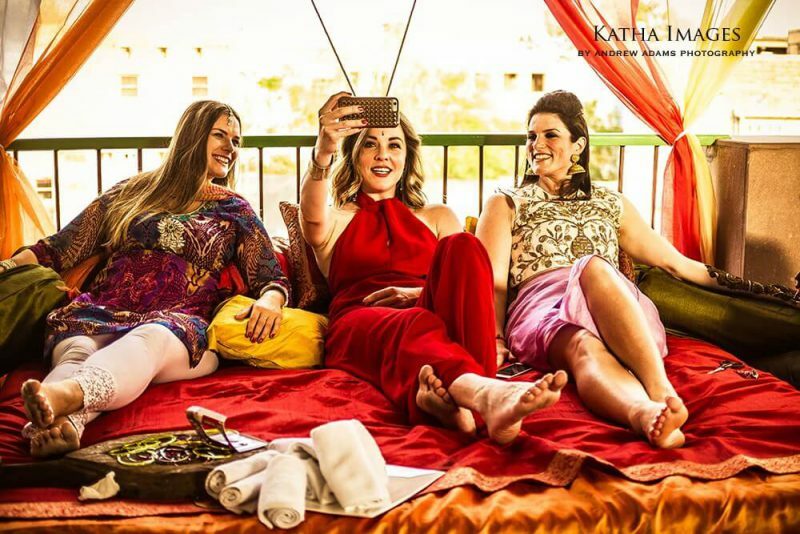 Stephanie and Shirish choose RAAS jodhpur also because it was one of the only locations that would accommodate an intimate wedding of their kind. 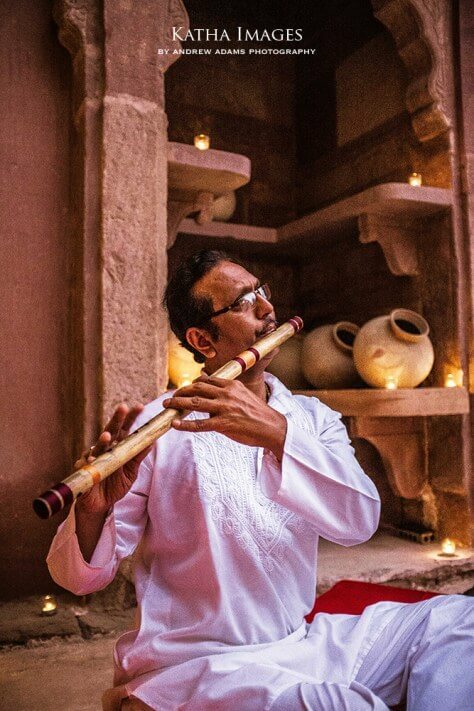 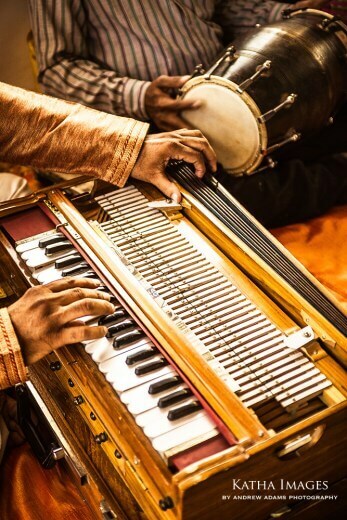 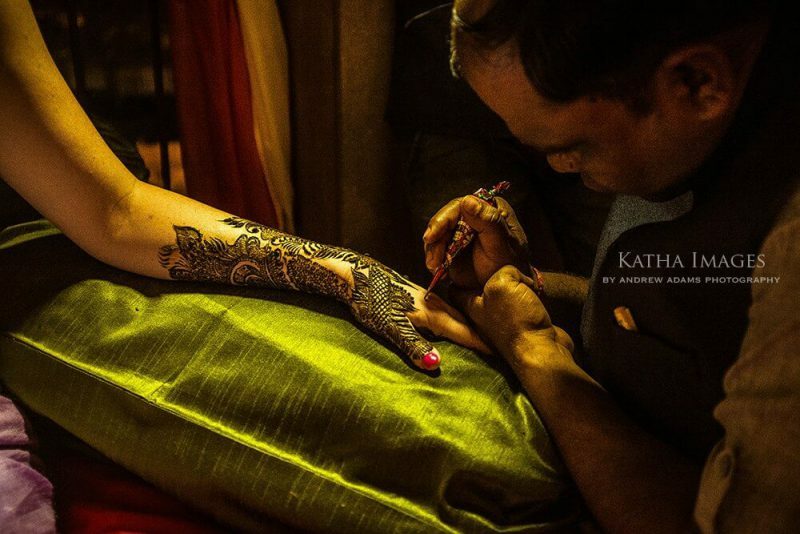 With musicians playing on harmonium, tabla, and flute, singers crooning and folk dancers performing, the Mehendi evening has an air of quaint magic to it. 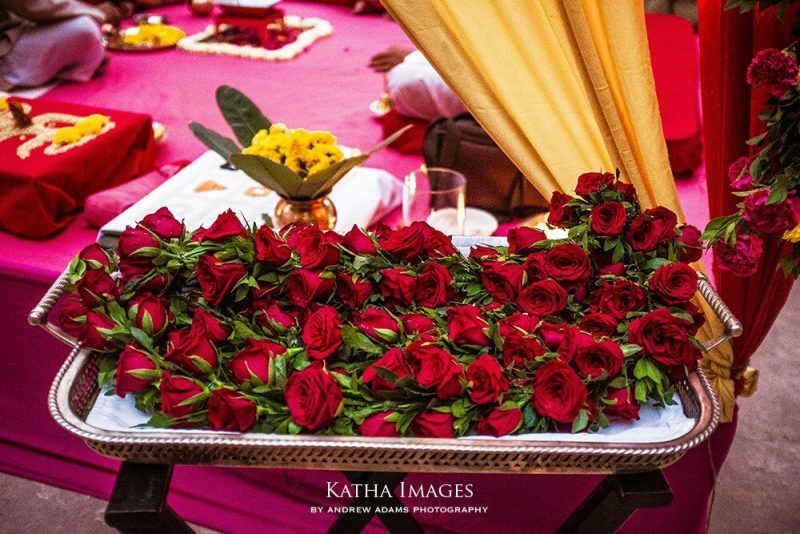 We quite like how the groom’s procession is through the narrow lanes of the city unlike from the porch of the palace hotel and is welcomed by the rose petals shower. 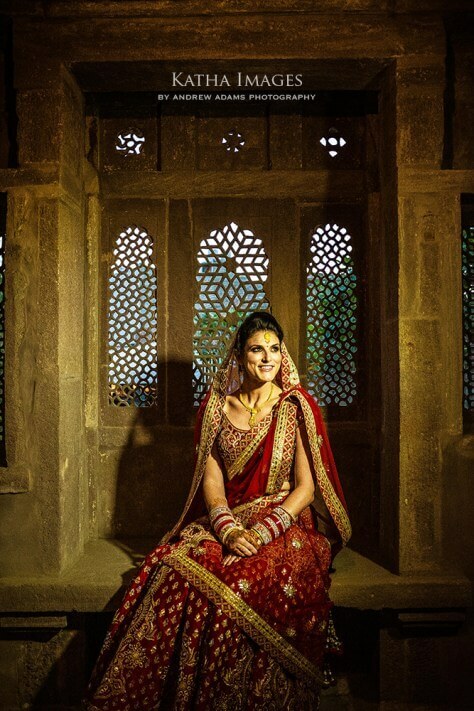 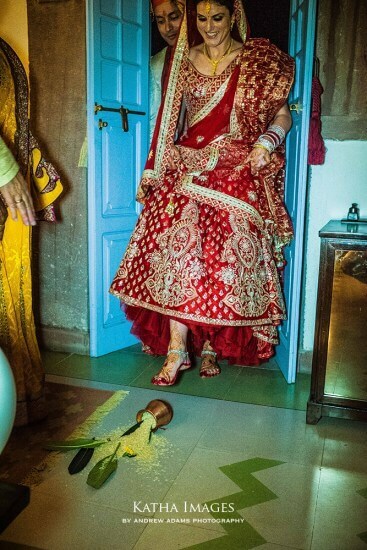 The bride looks gorgeous in deep red lehenga, we especially like the portrait against one of the fort’s jharokhas (window). 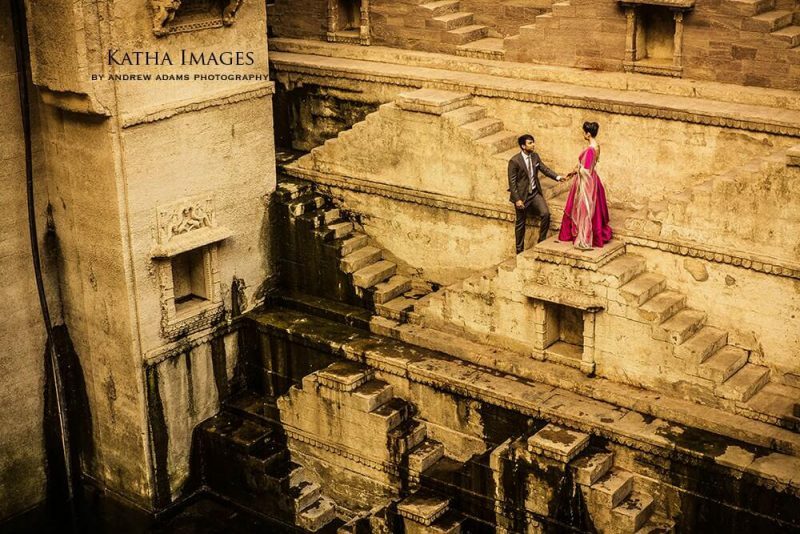 The pre and post-wedding photographs are shot against the step well and at other parts of the city are utterly delightful. 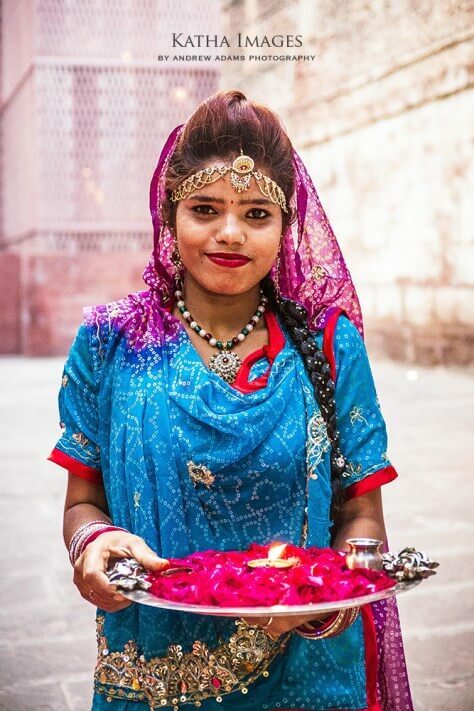 Scroll down for the gorgeous selection of photographs shot by Andrew Adams. 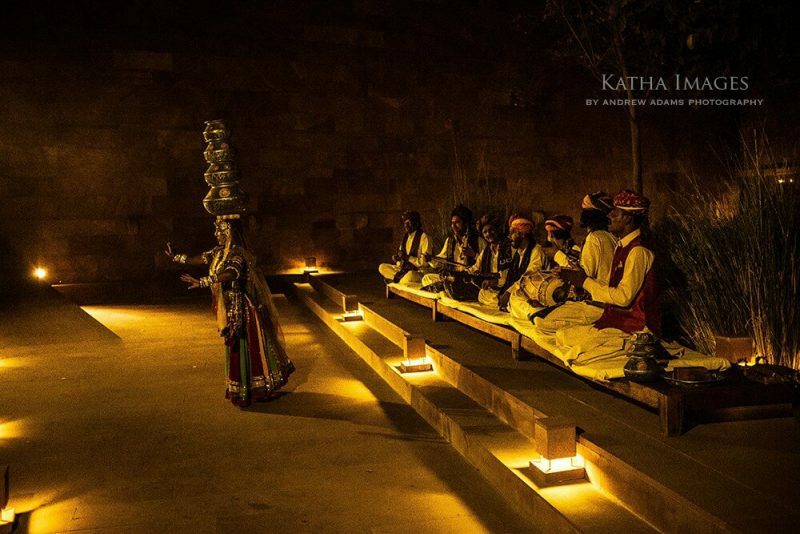 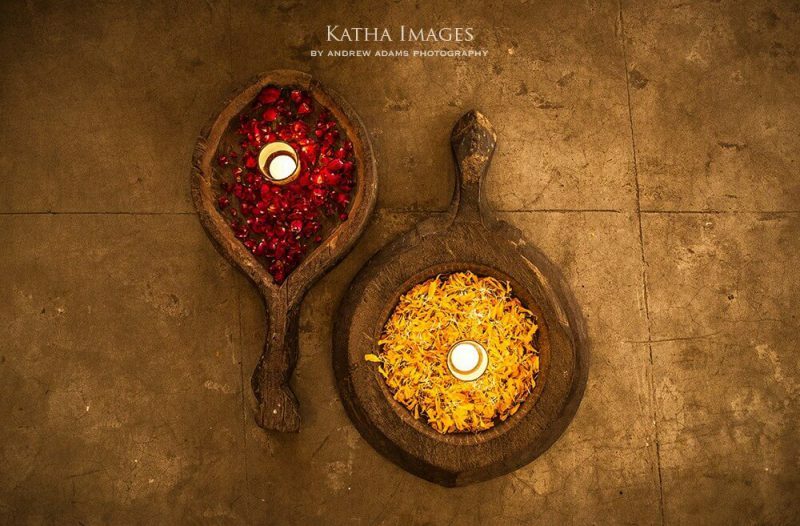 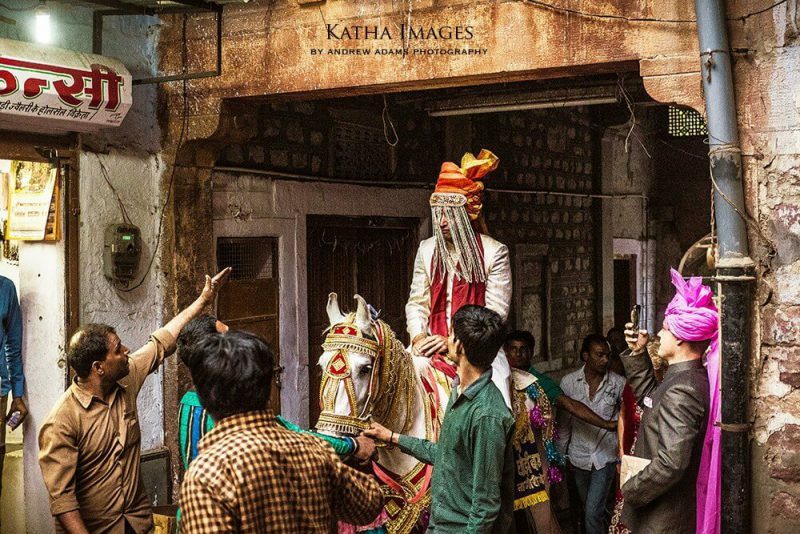 We love how in his photography the otherwise neglected elements like harmonium or by lanes of the city find an expression and then there are pictures that reflect and celebrate Jodhpur in its ethereal beauty. 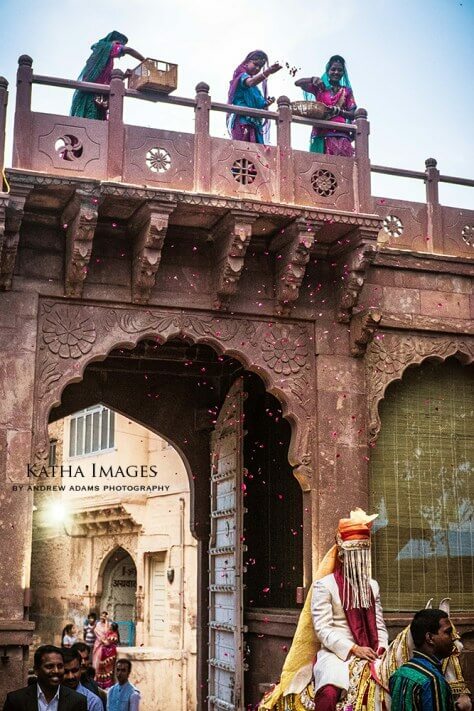 With wedding as stunning as this, we hope we have coaxed you to consider Jodhpur for your destination wedding in Rajasthan. 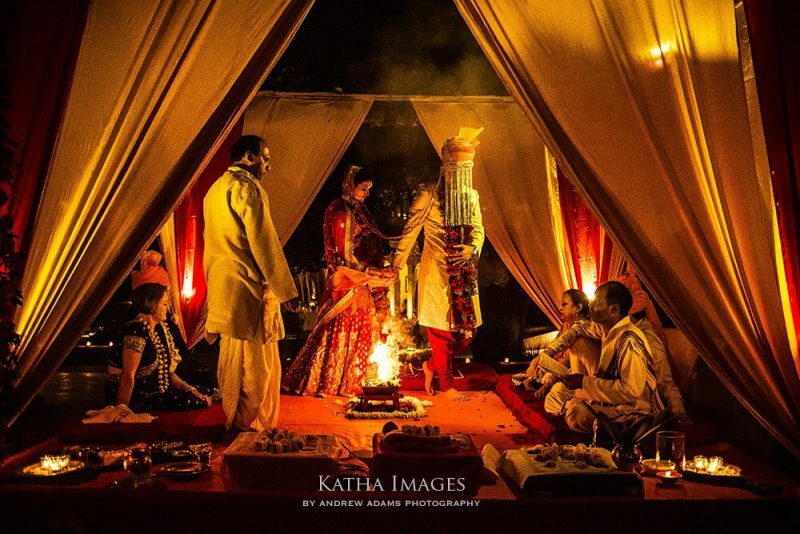 We are sure you would have tons of questions on how to go about planning your wedding, well shoot us an email and we will help you plan and style your dream wedding.